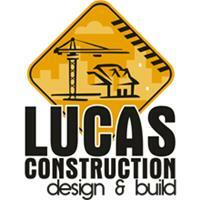 Lucas Construction Design & Build Ltd - Builder, Roofer based in Bromley, Kent. EVERYTHING FROM DESIGN & PLANNING TO FINISHING TOUCHES, WE WILL TAKE CARE OF IT! AT LUCAS CONSTRUCTION WE OFFER A FULL RANGE OF BUILDING SERVICES TAILORED TO YOUR INDIVIDUAL REQUIREMENTS. WITH MANY YEARS OF EXPERIENCE AND A WEALTH OF KNOWLEDGE WITHIN THE BUILDING INDUSTRY WE ALWAYS ENSURE THAT A HIGH QUALITY SERVICE IS OFFERED TO EACH AND EVERY CLIENT AT ALL TIMES.